The 2 Series replaced the 1 Series back in 2014 as BMW’s “entry-level” model—but there’s really nothing entry-level about it, which says a lot about the German automaker. At this point, the 2 Series is actually priced right alongside the 3 Series, and it easily offers as much driving pleasure (perhaps more) with its compact body and punchy powerplants. One of our reviewers test-drove a 2016 M235i and praised it for its power and driving feel (if not necessarily for its value). But the M235i will soon become a thing of the past, as BMW has announced new engines for its 2017 2 Series lineup, meaning new trim names as well: the 230i and M240i, both to be available as a convertible or coupe. Like its 228i predecessor, the 230i will contain a 2.0-liter 4-cylinder engine, but tuned to produce 248 hp and 258 lb-ft of torque, slight bumps of 8 hp and 3 lb-ft over the older engine’s output. The M240i, however, which replaces the M235i, will see the most improvement with the coming model year: its upgraded 3.0-liter inline 6-cylinder creates 335 hp and 369 lb-ft of torque, increases of 15 and 39, respectively, over the M235i’s power figures. The 6-cylinder has been developed with what BMW terms its “M Performance TwinPower Turbo Technology,” which gives it better fuel efficiency and a nicer engine noise and keeps the torque accessible low in the rev band. Both 2 Series trims come standard with rear-wheel drive (RWD) but can be ordered with BMW’s xDrive all-wheel-drive (AWD) system. M240i trims with RWD offer a 6-speed manual transmission with rev matching at no extra cost. Otherwise, the M240i comes with the latest version of BMW’s 8-speed Steptronic Sport automatic transmission, which is more responsive to acceleration and includes a Launch Control feature that gives the vehicle better traction when powering away from a standstill. The 230i presumably carries over the 7-speed automatic available across the 2 Series lineup for 2016. A RWD M240i coupe will accelerate from 0 to 60 mph in 4.6 seconds with the manual transmission and 4.4 seconds with the automatic, and adding AWD will lower that number to 4.2 seconds. The M240i convertible, with a frame that’s somewhat less stiff than that of the coupe, will do the 0-60 run in 4.7 seconds with the manual and 4.5 with the automatic. These numbers all represent improvements of at least 0.2 seconds over last year’s M 2 Series trims. Fuel-economy numbers have not yet been released for the 2017 2 Series, but the 2016 model got anywhere from 23 mpg city/35 highway/27 combined for the 228i coupe with the automatic transmission to 20/30/23 for the M235i AWD (coupe or convertible) with the automatic. The 2017 M240i includes a number of standard performance-specific features like an M Sport suspension that’s lowered by 10 millimeters, 18-inch M light-alloy wheels mounted with Michelin Pilot Super Sport tires, sports steering and braking systems, and a special M aerodynamic package that reworks certain exterior features for better performance and a sportier look. The 230i also offers new 17-inch wheels. Convertible trims incorporate a soft top that can raise and lower in about 20 seconds. The 2 Series’ 4-seat interior is somewhat spare, though by no means stripped-down. BMW’s iDrive 5.0 infotainment system is available with navigation; selecting navigation for 2017 will outfit the interior with the content of the previous year’s Technology package, including a larger digital instrument cluster display, telematics services, and Google search capability on the navigation feature. The 2017 model also offers optional wireless phone charging and Wi-Fi Hotspot capability. The Park Distance Control system, which is essentially a proximity alert for tight parking maneuvers, has also been updated provide greater support to the driver. Those springing for convertible 2 Series trims might want to consider the Cold Weather package, which will get them heated front seats and a heated steering wheel for when their top-down drives happen to cloud over and grow a little chilly. The 2017 BMW 230i coupe starts at $33,845, and pricing for the 2 Series lineup runs all the way to $51,745 for the M240i xDrive convertible. 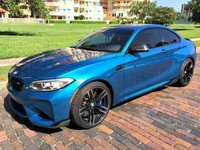 With its improved engine, the M240i has even become a worthy rival to the RWD M2 coupe—the entry model for BMW’s M line of performance vehicles—which is priced at $52,695 for 2017, over $5,000 more than the M240i xDrive coupe (though the M2 has more advanced handling technology). At any rate, either model will let you take an active part in BMW’s heritage of small, impressive performance vehicles. 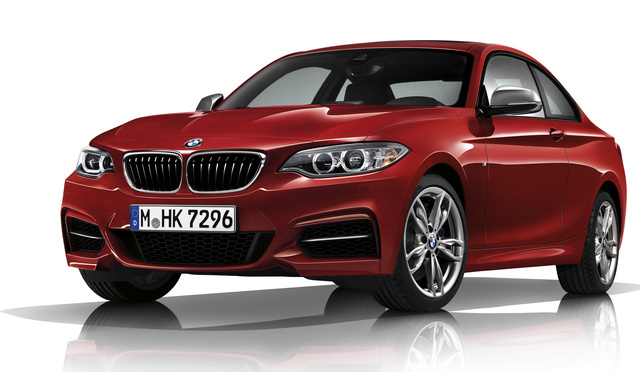 What's your take on the 2017 BMW 2 Series? Have you driven a 2017 BMW 2 Series?